Good chaise towel. Bought this a couple years ago with a side pocket for storage - really useful. Not the softest towel but serves the purpose well. 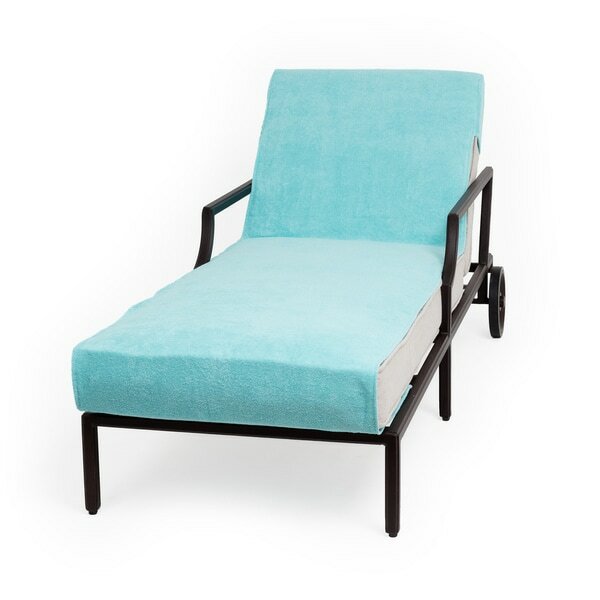 This luxury Turkish cotton fitted lounge chair cover is featured in beautiful aqua green color. The custom fit, stay in place towel lounge cover offers lounging comfort while providing superb personal hygiene for your days in the sun. "Does this have a pocket for a book, sunglasses,etc?? It doesn't say and one of the pictures shows a pocket. ?" Hello randiwingate, the pocket that is referred to is the part of the cover that fits over the back of the chaise to keep it in place. Sorry for the confusion. Thank you for shopping with us!